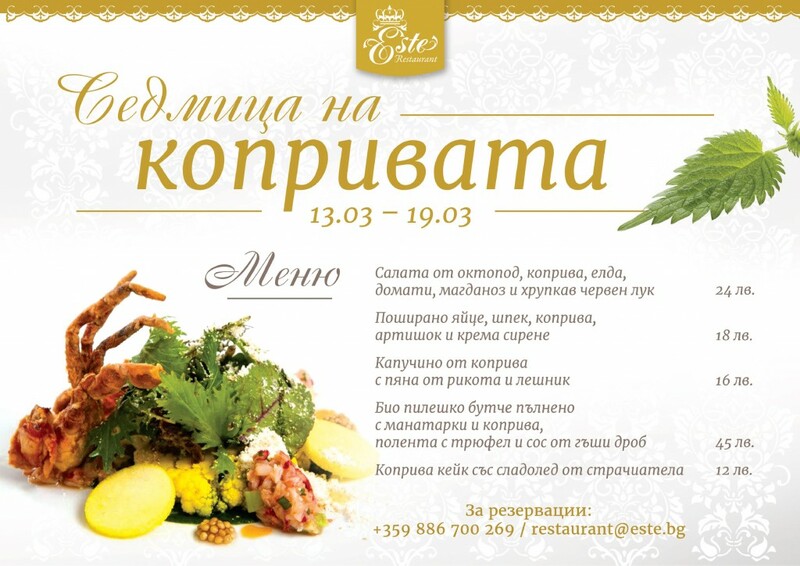 Spring is coming and we, at Este Restaurant, are getting ready for it by devoting a special week to nettles. Delicious food with more beneficial vitamins and minerals than spinach and broccoli, nettles can be used in many different dishes. Enjoy them in the best way possible with the unique ideas of our head chef – come and try our special menu from 13 to 19 March!